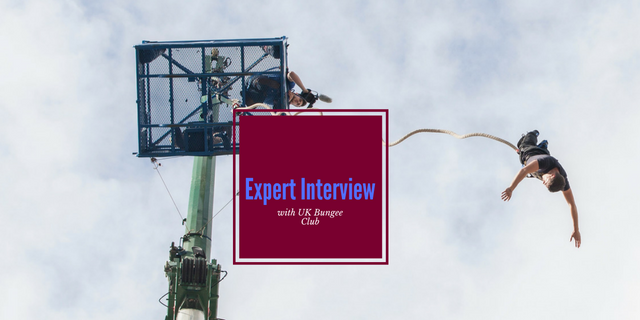 This Belfast bungee jump is one of the newest bungee locations available in the UK and Ireland, and is a fantastic location for you to take that bungee plunge. Add a little history to the hilarity, and try an incredible Belfast bungee at the Titanic Slipway! The bungee crane will be located right on the very slipways where the Titanic was built and launched over 100 years ago, and in fact the height you'll be jumping from is only a little less than the height of the Titanic itself, which measured 175ft from its keel to the top of the funnel! Your 160ft bungee jump begins when you meet the bungee crew to register before being carefully weighed by the crew so that they can assign you the right cord for your bungee jump. After this, you'll be fitted into your harness, then double-and triple-checked to ensure you are safe and sound, and ready to make the leap! When all checks are done, it's time to get in the bungee cage that will take you up the crane to your jump height - 160ft! Up here with the jumpmaster, you'll have just a minute to take everything in - the views of Belfast all around you, the noise of the crowds below, waiting for you to jump, the intense feeling of adrenaline and fear as you prepare to take the plunge - before the jumpmaster shouts "three... two... one... BUNGEE', and you leap forward! 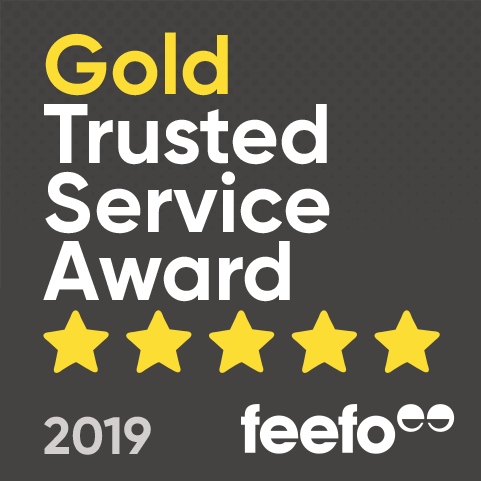 You have the option to buy a personalised video, photographs or merchandise on the day to remember your experience with. The Belfast Bungee Jump at Titanic Slipway can be booked on one or two weekends throughout the year, subject to availability. 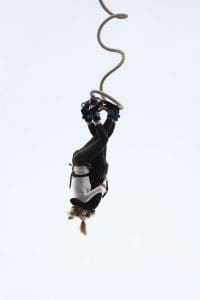 Prospective Belfast bungee jumpers over the age of 50 will need a signed and stamped doctor's cert to be able to jump. You must be in good health, and please make the centre aware of any medical conditions that you think may affect you being able to do the bungee jump. If you've ever had injury or damage to your neck, back, spinal column, legs or eyes, you will need clearance from a doctor (including a note) in order to participate in the Bungee. If you are not in good health you should NOT jump, If you suffer from any of the above but have been given a doctors certificate then you will be requested to sign a non standard waiver. Please read this carefully before signing. 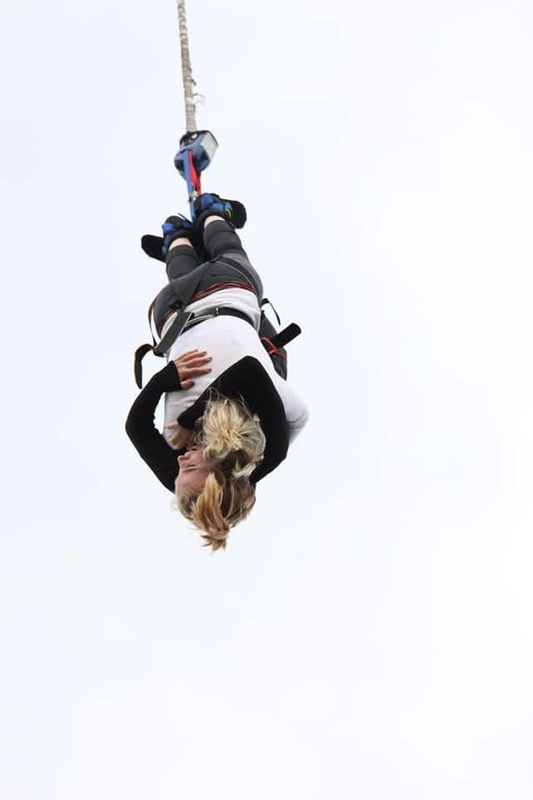 Allow approximately 2 hours in total for this Belfast bungee jumping experience. You should arrive at the Titanic Slipway bungee zone around 30 minutes before your allocated time. Participants: The Titanic Slipway Belfast Bungee Jump is for 1 participant. Spectators are very much encouraged to come along to the Titanic Slipway bungee jumping event! Have friends and family come along and cheer you on during your Belfast bungee jump - and make sure they bring cameras with them! Casual and comfortable clothes are best, with trainers or flat soled shoes, however please note that you may have to remove boots if they interfere with the ankle harness. 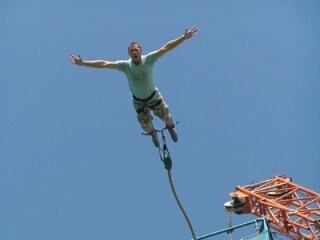 Glasses and contact lenses MUST be removed prior to your bungee jump. On rare occasions, extreme weather conditions such as very high winds may cause the Titanic Slipway bungee jump to be cancelled. If you are in any doubt, please contact the centre on the day of, or the day before, your Belfast bungee jump.